Miss Zaara… just, wow… so beautiful! 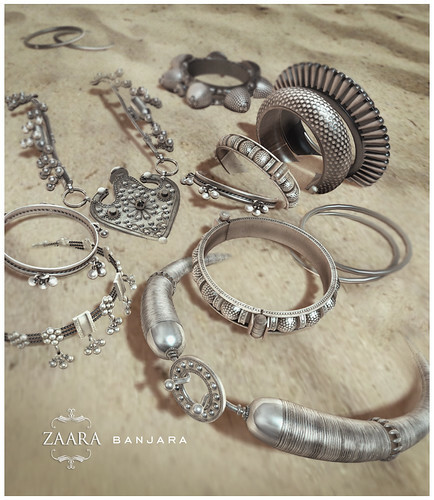 For the theme of ‘Modern Alchemist’, l’ve created a series of silver jewelry inspired by the nomadic tribes of Rajasthan. There are 3 designs for the necklaces, a long Talisman or ‘taweez’ style, a Halsi which is a thick metal collar, and a classic floral choker. The bracelets come in 3 styles, stacked, regular and wrist. The wrist version is a lighter design that can be worn by itself or as an add on to the regular or stacked ones. We do not use marketplace templates or kits for our items.